Claude Monet’s art has always struck a chord with me, especially the paintings of his gardens. 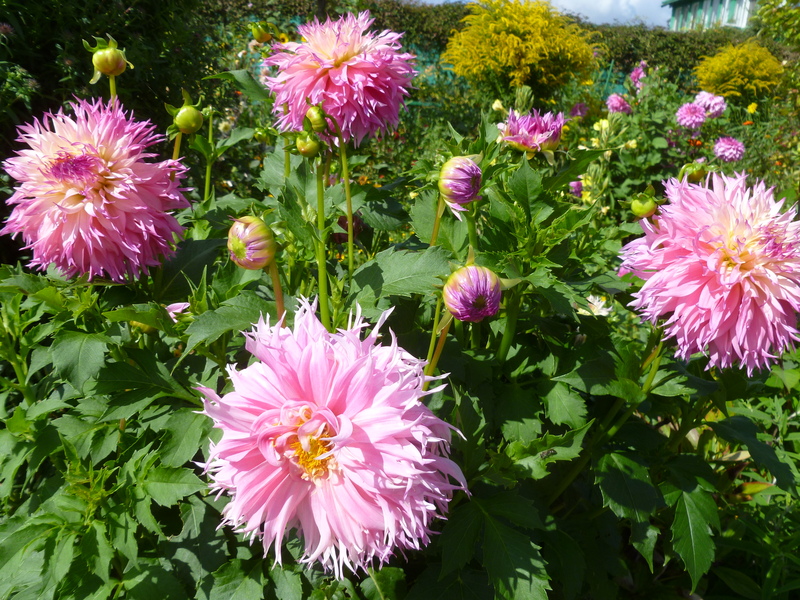 So when we decided to go to France, a visit to Giverny was tops on my list. It was in this small village, an hour from Paris, where Monet painted some of his iconic works of art. Smitten by the light, Monet painted his wife with her parasol beside the River Seine and his son toddling through the gardens. The gardens that inspired him are a work of art in themselves. I consider myself a decent flower gardener (not a master gardener like my friend Ruth, but above-average). 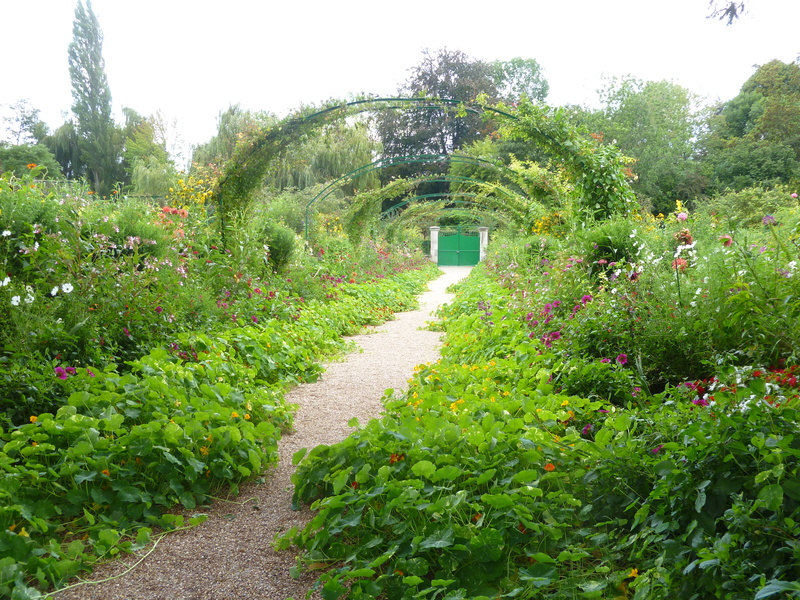 But Monet’s gardens are a masterpiece – a cacophony of color in outsize proportions. No tidy English cottage garden for him – these are wild swaths of colorful flowers from the ground reaching high to the arches and trellises. Gravel paths mark the way through the floral tapestry. Perhaps I’ll just let the flowers speak for themselves. We spent hours walking through the gardens and then toured Monet’s house, where hundreds of artworks hang. CRR counted 53 on the walls of Monet’s studio alone. Even the upstairs bedrooms and hallway walls feature paintings by Renoir and Cezanne and Pissarro, fellow advocates of the Impressionist school who often visited Giverny.That evening we ate dinner at ancient Restaurant Baudy, where these master painters hung out in the 19th century. They’ll be my inspiration when I plot my 2014 flower gardens. I have always loved the two artworks you mentioned. What a great experience! We probably saw some of them together!